If property in Springfield is under strain from the effects of a roof leak, sewage spill, flood, or pipe burst, you’re going to need immediate professional backing from water damage Springfield experts from 911 Restoration Middle Tennessee. No matter what the emergency, we have the expertise and advanced equipment to be able to repair any water issues right away and provide you and your home with a much needed fresh start! On a daily basis, your home is going to be exposed to various weather conditions. That constant exposure to the elements can eventually lead to wear and tear of the roof over time. With the roof possibly in bad shape, strong winds and heavy rain can eventually harm your home by way of a roof leak, storm damage, or flood. Whenever you’re home needs to a fresh start, you can always turn to 911 Restoration Middle Tennessee and we can offer you the top notch water damage repair and restoration that will make your property look good as new! While those issues may be tricky to handle on your own, water damage Springfield experts from 911 Restoration are qualified and ready to take care of them for you. Damage may come almost without warning, but because we’re available 24/7/365, we’ll make sure you get the help you need right away. 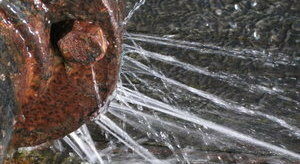 A roof leak, pipe burst, sewage backup, and all other water-related issues are all serious concerns that need a quick response. This helps prevent any further harm like wood rot or mold growth from setting in. That’s why our water damage Springfield leak removal pros will be there within 45 minutes of your call so that will those leaks are patched up and water is extracted from your home. With our licensed, insured, and bonded water damage Springfield flood removal specialists, we’ll look for the source of the leak and visually inspect your home for any signs of mold growth. Whenever these issues are causing you trouble, you can count on the IICRC certified water damage Springfield team from 911 Restoration to provide you with that assistance you need that will give your home a fresh start! Give us a call today!